Three things that matter for a law firm’s phone system. you want a phone system that simply works. Anywhere. That’s why thousands of lawyers rely on Jive’s Business VoIP Systems. According to independent reviews, Jive has the highest satisfaction ratings in the industry. Reliability, sound quality, and features are all ranked #1. Work from anywhere without sacrificing your personal number. Call and text from your business number using your iOS and Android device using Jive’s mobile application, Jive Mobile. Keep your personal number private, and log your calls and texts as easily in the field as you can at the office. Install and manage a system so simple, no technical background is required. Eliminate bulky hardware, regular maintenance costs, and visits from certified technicians. Jive Voice—our cloud-based phone system—operates via the Internet and is easy to set up and manage, even if you lack an IT background. Rely on a resilient system unrivaled by any other hosted competitor. Ensure stable and secure communications with Jive’s industry-leading service and reliability. Jive delivers its service through eight datacenters situated to provide fast, reliable, and redundant network access. Hundreds of legal practices trust Jive Communications as their cloud phone system provider. Jive customers also include thousands of companies, schools, libraries, government agencies, and non-profits. Review the testimonial, case study, and downloads below for more details. “There’s nothing I didn’t like about Jive. I can’t think of one thing. customized quote for your organization today. 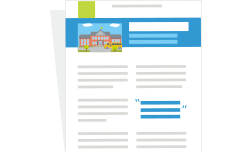 See what Jive can do for your practice. Contact our Legal Sales Team to learn more, schedule a short demo, or receive your one free month of service. From the perspective of a caller, a cloud phone system seems almost identical to a traditional private branch exchange (PBX). The difference lies in the delivery method. A cloud phone system houses the phone system hardware off-site, removing administrative and maintenance workloads from you and your staff. Phone calls are directed to your office via your Internet connection instead of a typical phone line. This telecommunications model is also referred to as Hosted VoIP (Voice over Internet Protocol) or cloud PBX. 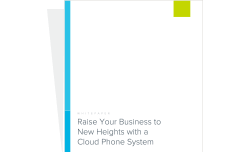 A cloud phone system allows you to consolidate your office phone service and data networks, streamline your hardware budgets, scale easily to accommodate new hires and locations, and capitalize on productivity-enhancing features and functionality. This service delivery model also ensures your practice always has access to the latest versions, updates, and voice features without having to pay for upgrades or purchase a new system. Are they better for law firms? Customize your clients’ phone-in experience with unlimited features like auto attendants, conference bridges, custom greetings and hold music, and voicemail. Staying productive in the field. All your mobile conversations can appear as though you’re calling from your office phone, so your private number stays private. Easily connect multiple locations with a cloud phone system’s conferencing options, and reach remote workers as if they were in-office with extension dialing. Trim your hardware costs, scale without expensive capital outlay, and enjoy predictable monthly service costs without support, maintenance, or licensing charges. Cloud phone systems are easy to manage. If you can navigate a website, you can program your phone system. Why should I buy a Jive phone system? Jive is top-rated. Jive is consistently ranked #1 by customers for superior call quality, customer support, and system reliability. Jive is built for attorneys. 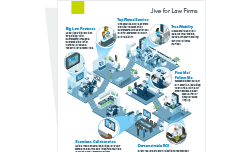 Jive has hundreds of customers in the legal field, with upcoming features and integrations tailored to law-office needs. Jive is all-inclusive. Jive doesn’t nickel-and-dime you to death. Our 80+ voice features come included in our standard service package, along with 24x7x365 support, conference bridges, voicemail, and mobility applications for all your employees. Jive is simple to setup and manage. Jive’s plug-and-play phones make setup easy. And—with Jive’s intuitive, browser-based online portal—you can easily update your call flow in real time. Why buy a Jive phone system now? Jive is offering to give you your first month of service for free. But act fast! This deal only lasts until the end of this quarter. For any questions, reach out to a Jive rep at 844-845-0531, or email us at SMBsales@jive.com. Jive offers month-to-month service. Other providers will try to lock you into a contract. We prefer to win your trust and earn your business every month. How much will it cost to switch over? IP phones. These look like ordinary phones, but you plug them into your desktop computer or router instead of a phone jack. Many modern phones have this capability. Business-class router. A business-class router is necessary to handle the demands of increased voice and data traffic required for quality voice service. Your current router may already be capable of handling voice traffic. Internet connection. You need a broadband connection with sufficient bandwidth. One VoIP call needs approximately 85 kbps of synchronous bandwidth. Your Jive sales rep can help you determine if your current network will support VoIP calls. Once the system is installed, the price for monthly voice service can vary based on your number of users. Check out our plans and pricing information above for more details, or reach out to a Jive rep at 844-845-0531, or email at SMBsales@jive.com. One of the drivers behind Jive’s top-rated service is our excellent call quality.